If you are looking for the best conference or function venue in the Vaal Triangle for your corporate function, conference or year-end function, contact the Liquid Lounge today. We offer a unique Vaal River conference venue that will exceed all your expectations. 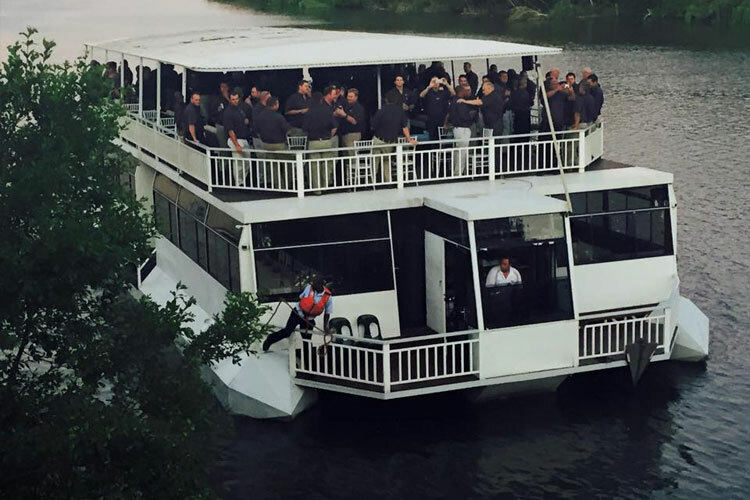 The Liquid lounge is a luxurious river cruiser, doubling as a Vaal River conference venue. You and your delegates will be treated to a memorable conference event aboard this luxury river cruise boat. For more information about this Vaal River Cruiser, contact the Liquid Lounge today! We guarantee that you will enjoy your conference or corporate function with us! Located in Vanderbijlpark, this venue is ideal for corporate functions from all over Gauteng. 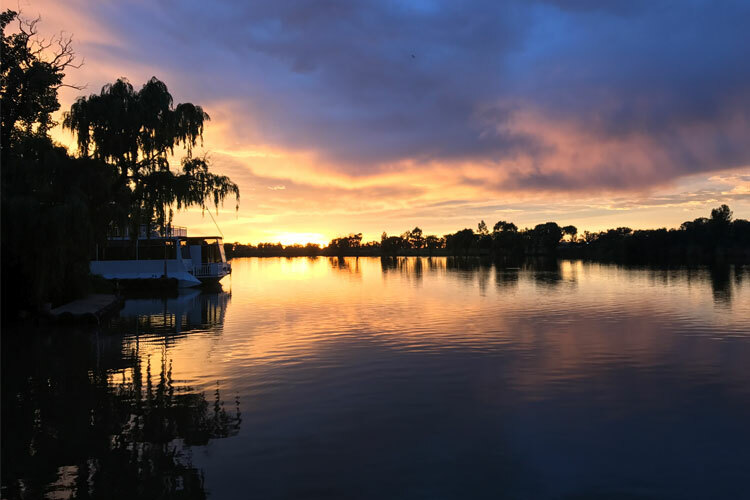 What makes the Liquid Lounge so special and unique, is that you will be cruising down the beautiful Vaal River, whilst enjoying spectacular catering served by our professional staff. If you’re looking to break away from the usual conference venue, then this Vaal River conference venue is perfect for you. 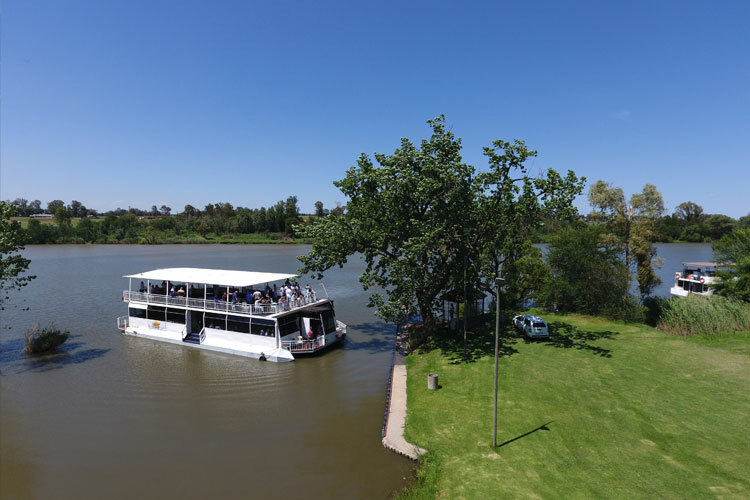 The Liquid Lounge is renowned for hosting themed corporate events, so if you’re in the mood for something a little more fun for your social or year-end function event, then book your function aboard this Vaal River conference venue today. We can also arrange live entertainment for your corporate function including a live band or DJ, whichever suite your needs. We also guarantee that our catering will exceed your expectations, whether you are having a buffet lunch or cocktail style catering. The Liquid Lounge cruises down a 56km stretch of the Vaal River on navigable water. Your guests will be treated to beautiful natural scenery, fresh air, and unique Vaal River conference venue experience. If you want to book this Vaal River conference venue for your next conference, year-end function or social event, we advise that you book early to get the date you want! Contact the Liquid Lounge today for more information or to book this Vaal River function venue.